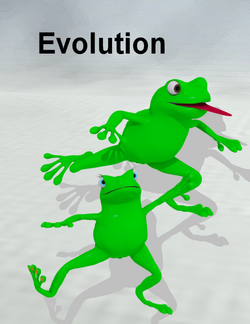 EVOLUTION The missing Link in chain of Evolution. A toon like figure of a frog. This page was last edited on 11 April 2018, at 21:52.